::: D.L. & Co .:. Volume 8 Subscription Box «×» Candles are always my #1 go-to gift, every year. This gift box (quarterly subscription box) comes packed with some of the most beautifully fragrant, luxurious candles & diffusers you can find. The ceramic marbled candles and diffuser add a touch of luxury to any room and the scents are crave-worthy. The Opium Den candle is such a unique scent – it reminds me of the vintage eclectic stores of New Orleans. Six candles, a diffuser + a inspirational notebook, you can’t go wrong with gifting this! ::: Mini Melanie .:. Think Outside the Box Cake Truffles «×» Tired of gifting just boring chocolates? Look no further – Mini Melanie offers a nice selection of hand made cake truffles that look just as good as they taste. These were devoured within 2 days of receiving them and my favorite flavors were: Rose (banana bread), Harper (salted caramel blondie), and Pearl (red velvet). These are shipped fresh & flavorful and are a great gift to give the chocolate connoisseur who thinks they’ve tried it all! ::: Laura Mercier .:. Les Petits Souffles Body Creme Collection «×» Six limited edition body creams in some of their best selling scents: Ambre Vanille, Almond Coconut Milk, Fresh Fig, Creme de Pistache, Creme Brûlée and Tarte au Citron. I love them all but if I had to choose a favorite it would probably be Creme Brûlée or Ambre Vanille, theres something so warm and comforting about Vanilla and well, Creme Brûlée is the best dessert ever and this delicate, sweet scent mimics it well.. need I say more?! ::: Sky Organics .:. December Bubble Box «×» The cutest holiday themed bath bomb set: pumpkin apple butter bath bomb, candy apple bath bomb, oatmeal milk & honey bubble scoop & peppermint shower steamer. I used the pumpkin apple butter bath bomb yesterday and it scent was strong enough (in a good way!) that you could smell it throughout my entire upstairs, the peppermint shower steamer will evoke your senses and give you spa vibes all around! You can also sign up for a monthly subscription of this which will be more than appreciated from the recipient or even for yourself! ::: HydroPeptide .:. Fab Four Mask Collection «×» This is pricey but worth every penny. Four masks that will tackle every skin concern you may have. Miracle Mask will lift, glow & firm, Radiance Mask contains brightening apple papaya, Rejuvenating Mask is calming and detoxifying and the Balancing Mask contains anti-stress cranberry pomegranate. I use the Rejuvenating Mask constantly and find it calms my sensitive skin better than any other mask I’ve ever tried! ::: DAFNI .:. Go Purple Brush «×» Affordable convenience right at your fingertips. Gone are the days of spending precious hours fighting to tame wild hair. This brush makes straightening & de-frizzing your hair a breeze and cuts down on time. It’s compact, lightweight comes with a case and is perfect for traveling. This differs from an average hair straightener as it has proportionately spaced bristles to distribute heat evenly and glides through your hair without tugging or damaging it. Anything that helps save time and causes less damage to my hair is a win with me! ::: TeaBox .:. Chai Montage Collection «×» For the tea lover. I am chai obsessed and have ordered it from various coffee shops for the last 15 years or so. This is the first gift set I’ve found that contains a vast variety directly from the land of all things chai – India! Inside you’ll find: Assam Masala Chai, Bombay Cutting Chai, Kashmiri Kahwa, Punjabi Masala Chai, Wayanad Cardamom Chai and Kolkata Street Chai. Each blend is slightly sweet, warm and spicy and much appreciated on these bitter cold winter days. ::: Oliberte .:. Women’s Yabela Rustic Brown Boots «×» Whether it be knitted, leather, knee length, with heels or without, boots are a staple in my winter wardrobe. Oliberte is a sustainable brand supporting workers rights in Africa, they also were the worlds first fair trade certified footwear manufacturing company. They offer a lifetime warranty on everything they sell and have everything from boots, to moccasins to sneakers for both men & women. In addition to footwear they also sell leather bags & wallets and various accessories and have a style for everyone on your list. ::: Nespresso .:. Limited Edition Holiday Variations «×» Peppermint Cane, Banana & Cherry. Nespresso has some of the most unique holiday coffee variations I’ve seen. My favorite is Cherry – it’s a smooth Arabica blend of Ethiopian, Central & South American coffees with sweet notes of almond and cherry and is the perfect pick-me-up treat for your caffeine addicted friend! ::: Rituals .:. Laughing Buddha Revitalizing Treat Set «×» Shower foam, body scrub, body cream and shower oil in the most addictive scent ever. I am absolutely obsessed with the Laughing Buddha collection and recommend it for anyone on your list as the scent is unisex, fresh, invigorating and overall amazing! This contains all the essentials for a great price, I think I’ll stock up on this collection as it is my all-time favorite scent ever! ::: Eden Garden .:. Holiday Set + Body Oil Set «×» I don’t go a day without diffusing essential oils, I can’t get enough! This gift set contains the best scents to fill your home with the comfort & warmth of the holidays. Cinnamon leaf, Hope, Pine, Silver Fir, Spearmint & Vanilla, everything you need in one beautifully packaged set. They also created a fabulous set of their top 5 essential body oils – they’re natural, long lasting & deeply moisturizing, awesome for massages and a relaxing addition to a hot bath. Edens Garden is aromatherapy at its finest. ::: L’Occitane .:. Addictive Terre de Lumière Collection «×» Packaged in a beautiful gold box, this gift requires no wrapping! Perfume, shower gel, body milk & perfumed soap, this collection takes all the guess work out of gift giving. If you know someone who loves to wear perfumes but can’t handle harsh overpowering scents, this is for them. It’s subtle with the perfect balance and great for women of all ages. ::: Dermalogica .:. Anti-Aging Power Trio «×» Let’s not forget about the skincare aficionado. Dermalogica offers an advanced line of skincare and this set will tackle chronically stressed, aging skin while protecting it from sun damage. I have super sensitive skin and have found a lot of products to be too harsh for me. These are gentle yet effective and suitable for all skin types. ::: LifeMats PRO .:. Small Infrared Heating Pad «×» While the price is steep – look at it as an investment in your health! 🙂 This isn’t like your typical heating pad, it generates Far InfraRed heat, for ultimate relaxation and pain relief and Amethyst to promote healing and emit negative ions to help reduce stress. “Ionization of the body alkalizes and purifies the blood, charges the immune system, and supplies antioxidants that neutralize free radicals.” FIR heat is nature’s most healing heat; it can penetrate up to 7 inches into the body. Amethyst is known to support deep meditation and emotional balance. Just a FEW benefits of this mat: reduce stress & fatigue, relax muscles, stimulate detoxification, improve blood circulation, improves joint mobility and promotes better sleep. 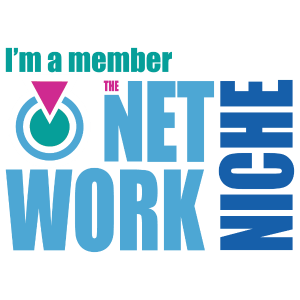 The list is way longer and the benefits are simply amazing. This mat has been passed around my family and would make the perfect gift for your parents, grandparents or any baby boomer on your list. ::: BioBelle .:. My Diary of Beauty Secrets «×» I love the packaging, I love the selection and I LOVE sheet masks! These are my favorite way to create a spa-like experience right at home without the expense. This set contains a mask for firming, brightening, anti-aging, fine lines, hydrating and one for glowing skin. Each mask packs a punch and will leave a noticeable difference in your skin. ::: NEWA .:. Anti-Aging Device «×» If you feel like you’ve tried every skincare product on the market and still aren’t seeing your desired results, a fancy skincare device may be your best option! NEWA has been featured in numerous magazines and beauty publications and is clinically proven to tighten & lift your jawline, cheeks and crows feet area. Skip the surgeon and try an FDA cleared device at home that actually works! ::: Cake Beauty .:. Deck The Haul Set «×» They offer a variety of 25+ gift sets, but I personally like to keep it as simple as possible when it comes to my hair. I don’t use a ton of products so this set contains the bare essentials for me. And I don’t think there is a single person that wouldn’t agree that dry shampoo is a must! The scents smell like dessert and are everything you need to re-fresh and re-style unwashed hair with minimal effort! ::: RAD Soap Co .:. Bath Juice Set «×» This is one of my favorite gift picks this year! I am bath obsessed and these are some of the most unique bath products I’ve found throughout the years. This set contains: Dreamy, Hempy, Shroomy & Rosie bath juices. They contain only natural ingredients and are such a treat when looking to unwind and relax! My favorite: Rosie – it’s infused with botanical rose extracts and Australian pink clay and is as relaxing as it is hydrating. HUGE fan of these! ::: Peter Thomas Roth .:. 24K Gold Pure Luxury Hair Mask System «×» I am a sucker for a deeply hydrating & conditioning hair mask and this one surely fits the bill. This mask is unique because not only does it come with the mask itself, but shower caps & a bonnet that is attachable to your hair dryer to diffuse and contain heat allowing optimal absorption. The mask contains a 24K Gold-Keratin Peptide Complex Technology that strengthens, repairs and nourishes hair. This adds life to lackluster hair and is a fun way to pamper yourself while treating damaged hair. ::: FRIGO .:. CoolMax Stretch Collection Briefs «×» Undergarments are a necessity and we always see commercials, advertisements and stores targeted towards women, but what about the men!? FRIGO is a luxury line of men’s undergarments that has been featured in The New York Times, Forbes and GQ. The CoolMax collection is made of a breathable fabric that is engineered for temperature regulation and moisture management. These are ideal for everyday wear and more than likely something your husband would never think to buy for himself! ::: Chaser Brand .:. Love Rib Off Shoulder Cozy Pullover «×» I could easily choose 20+ suggestions on sweater styles from Chaser, narrowing it down to my top choice was tough! They’re a one-stop shop for all things fashion and every piece is on trend. This sweater is comfortable and cozy and can easily be dressed up or dressed down. My favorite way to wear it is with plain black leggings, knee high boots & a soft patterned scarf – comfort at its finest! ::: Chloe .:. Roses De Chloe Perfume «×» This is a classic floral perfume with key notes of bergamot, amber musk and rose essence. It’s fresh, feminine and subtle and lasts hours without fading. This sophisticated scent is sure to gain you compliments and something you’ll repurchase time after time. Fragrance is a very personal thing and this would make a great gift for you wife, sister, mother or anyone you love! ::: Beautopia Hair .:. Vibrastrait Pro Iron «×» My last straightener recently broke after 3 years of continuous use. So I’ve been trying out several different straighteners to find the one that gives the best results with the least amount of damage. Vibrastrait is made of high quality tourmaline plates and vibrates 7,500 times per minute to seal moisture & provide even heat distribution. I always recommend a straightener over a curling iron/wand. Whether you’re looking for loose curls, waves or poker straight hair, you’re able to do it all with just this device. ::: Thoughtfully .:. Coffee Camp «×» If you want to impress someone but aren’t sure where to start, stop reading this right now and head on over to Thoughtfully’s website. They have every type of gift set that you could possibly want to give (or get!) and make gifting a breeze. I chose the Coffee Camp gift set because I have a few coffee lover’s in my life that will absolutely love everything about this! Not only does it come with 10 oz of Colombian Coffee but coffee filters, a wood pour over coffee block, two distressed enameled mugs, and a plaid fleece blanket. Great for camping excursions or just for home, a gift that shows you truly put a lot of “thought” into it! ::: Plant Therapy .:. 7 & 7 Essential Oil Set «×» Plant Therapy’s best selling gift set – this is great for someone just getting into essential oils or for someone who uses them regularly. It contains 7 staple scents in addition to 7 of their most popular synergy blends. I love diffusing Lavender & Eucalyptus during a bath and before bed, Lemon or Peppermint while cleaning the house and Germ Fighter or Immune Aid to help ditch these contagious winter sicknesses. ::: Eddie Bauer .:. Men’s Bulman Creek Jacket «×» Despite what they may say, men are WAY harder to shop for! This is my favorite gift suggestion for men this year as it is something that will get tons and tons use, especially if you live somewhere freezing cold! The Bulman Creek jacket is 100% my husbands signature style, it looks great over casual work attire or with just with jeans and a sweater. It’s wind, weather and water resistant and will withstand years of daily wear. 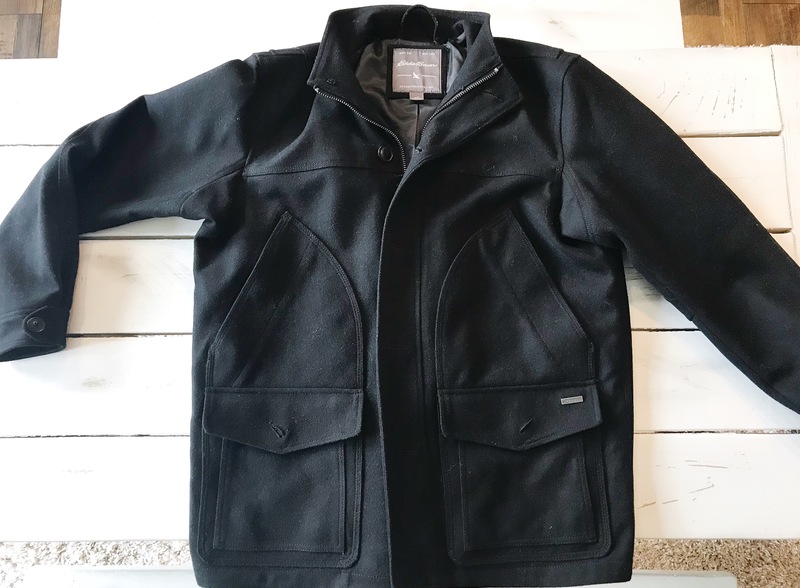 Everything Eddie Bauer makes is luxurious, stylish and made from high quality materials and there is no doubt about it, he will absolutely love this jacket! Previous Post Switch2Pure Nurture Your Nest Kit // Non-Toxic Cleaning Products! Next Post Christmas 2017 – Beauty Gift Guide! I’ll take 1 (or 2) of everything!! Except for the men’s stuff, lol. Great list!